46th Annual Waterfront Art Festival – Our mission is to put together an event that gives artists a great opportunity to show and sell their work. We believe in artists and understand how much of a challenge this lifestyle can be so we’re doing everything practical we can to help you achieve your goals. Yes, we support the community and love our visitors and intend to have fun but we always have the mission in sight. Webster is an eastern suburb of Rochester NY. 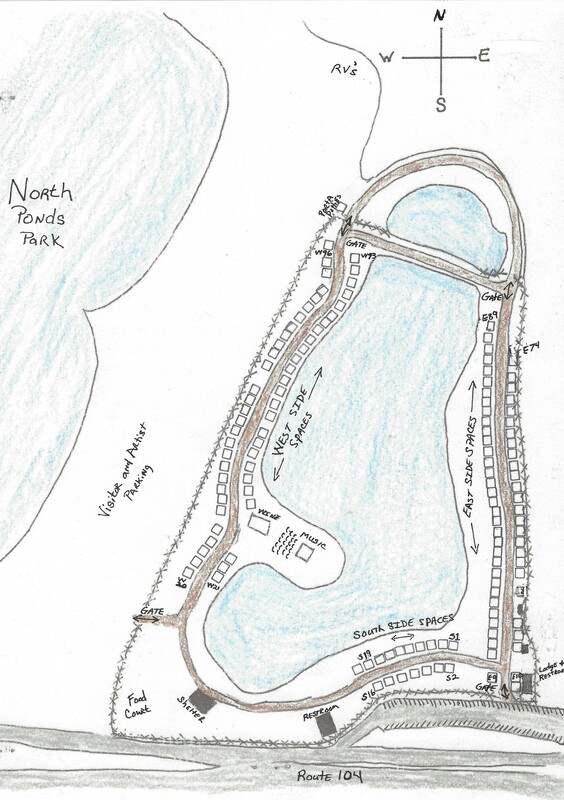 The Festival is held in North Ponds Park, just off Route 104 which is a 4 lane highway connecting Rochester to the Xerox manufacturing complex and the small towns to the east. It’s about a 15 minute drive from Downtown Rochester and you can get to the Festival from about anywhere in Monroe County in 30 minutes. The Festival is laid out to circle a large pond within the park with booths on both sides of the path most of the way. Our visitors enter through one of 4 entrances and walk the whole circle to exit where they parked and came in so every space is seen by every visitor. At least 50% of the Festival area is shaded by mature trees. We fence the entire Festival area and charge visitors a $3 admission fee. We provide 24 hour security from Friday evening through the close of the Festival on Sunday. The Waterfront Art Festival is the same high quality Festival that was located on the north shore of Canandaigua Lake until it moved to Webster in 2015. The move gained us a host community that fully supports us and eliminated several serious logistical problems. DATES – the Festival is held on July 27 & 28, 2019, Festival Hours: 10 am to 5 pm both days. Setup begins at 9 am Friday, July 26 & teardown needs to be complete by dark Sunday, July 28. Withdrawal requests received by June 1st will receive a space fee refund. No refunds are possible after June 1st. Space assignments for new artists and those requesting changes from last year will be sent out by June 16. Since this is our first year using Zapplication, late applications will be accommodated when possible. Please go to www.WaterfrontArtFestival.com and the artist’s information page for more information. Eligibility: Open to fine artists and craft artisans and limited consumable craft vendors. All art & craft work must be original, hand-crafted & executed by the exhibitor who must attend the Festival. Reproductions of the artist’s original work must be limited editions and clearly marked as reproductions. No green ware, kits, imports, agents, or buy/sell allowed. Any exhibitor showing unacceptable work will be asked to leave and be ineligible for future festivals. Consumables must be high quality and hand produced in small batches such as food mixes, canned food, bottled condiments and sauces, small batch soaps, oils and candles. Please submit current images of your work. 1 image of your booth and display & 3 images of your work in each category you enter. Artists may apply in only one or two categories. If applying in two categories, the artist must make two separate applications and pay two application fees but only one space fee. Sales Tax: All exhibitors must collect & pay current NY State Sales Tax applicable for the Town of Webster & Monroe County, New York. The current sales tax rate is 8%. Clothing and shoes priced less than $110 each only pay 4% sales tax. If you do not have a NY Sales Tax No. go to www.state.ny.us for info on how to apply. Application fees must be paid by credit card through Zapplication. Booth Info & Exhibit Requirements: All exhibitors must have a professional type booth, canopy, or tent and display units and be firmly anchored in case of inclement weather. Exhibitors must bring everything required to set up their display on empty ground. All spaces face the path circling the pond and are on grass and reasonably level but do bring levelers to be sure and most spaces have 2 to 4 feet between artists. All spaces have some storage space behind the artist’s canopy area. There is only one small area where electric is available offering 3 potential spaces with electric access. Small, very quiet generators are allowed. Exhibitors must display their booth id from the HQ packet in their booth and wear the name tags provided for Festival Exhibitors. Artists can drive to their space to drop and pick up their goods. The few spaces that offer electric are in the low numbers on the East Side. Please note that the site map shows the general layout but is not an exact representation of where each space is located. Spaces line the path on the West Side and the East Side with the space numbers getting larger as they move north. The South Side space numbers get larger as they move west. Images submitted to the Festival may be displayed on Festival’s web site and advertising materials. Violation of show rules is a basis for expulsion and forfeiture of all fees including awards. There will be no rain date nor will refunds be made due to inclement weather or forces beyond our control. All Festival participants are expected to conform to reasonable societal norms in their speech, appearance and booth. Failure to act professionally can be cause for expulsion. By submitting this application, you agree that if selected to participate you will comply with all terms and conditions of this application, and any other circulated or posted rules by Waterfront Art Festival regarding your participation in the Festival. These include but are not limited to your acknowledgment that the Festival is not and cannot be held responsible for any theft or damage or other loss to your personal property, art work, wares, equipment and valuables of any kind that you bring onto the Festival premises at any time during, before, or after the event, and that the Festival is not and cannot be held liable for personal injury or any other claim arising out of your participation in the show. Rather, you agree to participate understanding that any damage, theft or other personal property loss of any kind, or personal injury, is at your own sole risk.